The IPS want to mark these 40 years with as many of our sound colleagues as possible. If you are a current member, a past member or a non-member you are all very welcome. At each venue, the IPS will be hosting a social evening with a bar and food. Book now ~ its free. If you would like to meet up for a great event, then there is a dedicated booking page, where you can choose from Belfast, Birmingham, Bristol, Cardiff, Glasgow and Salford (near Manchester), where Mike will be in attendance. 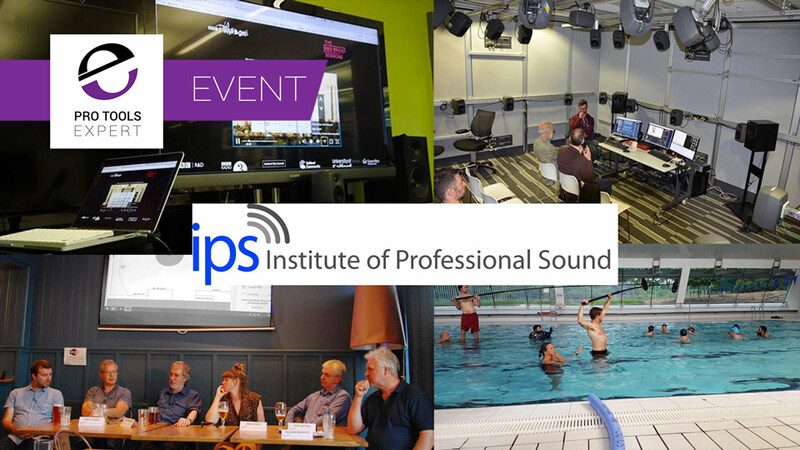 What Is The Institute Of Professional Sound? The Institute was formed in 1977, by sound mixers working for UK broadcasters with the aim of connecting audio professionals and encouraging a craft dialogue and was formerly known as the Institute of Broadcast Sound. As the professional audio industry has developed from mainly staff positions to a predominately freelance workforce, it is all the more important that the IPS continues to keep the dialogue going amongst like-minded audio colleagues in film & TV production & post, radio production, live events, games and education.